On May 22, 1970, responding to a bogus emergency call to help a pregnant woman, St. Paul patrolman James Sackett was killed by a sniper’s bullet fired from a high-powered rifle. Award-winning journalist William Swanson masterfully walks the razor-edge between the grief and anger of a police force that lost one of its own and the deep-seated resentment and subsequent silence of a community that had many reasons not to trust the cops. 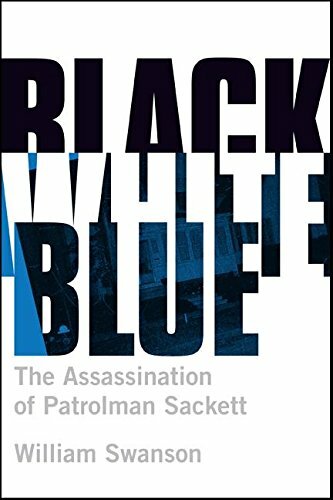 Based on extensive interviews and archival research, Black White Blue recounts the details of one of the most extraordinary cold-case sagas in U.S. annals—a story featuring dozens of memorable characters, including a relentless “super cop,” an aggregation of conflicted informants, and a haunted woman who grew old with a terrible secret. The case culminates with the controversial trials, decades later, of Ronald Reed and Larry Clark. Black White Blue, is a powerful, true account of crime and punishment, time and memory, race, community, and personal relationships.